Detailed resin rugby trophy suitable for both male and female rugby awards, and both team/club or individual player prizes. Featuring a scene with rugby ball, boot and posts finished in an attractive bronze and gold colour, with 1in centre at the foot and mounted on a bevelled base with engraving plaque. 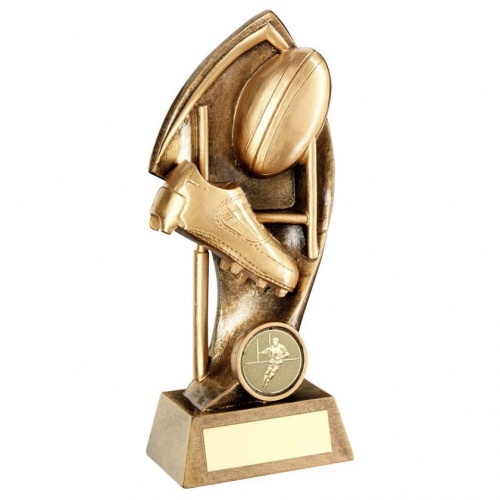 These versatile rugby trophies are available in three sizes and offered with engraving options for the base plaque.